show "SHED WARS" on the Sportsmans Channel!! 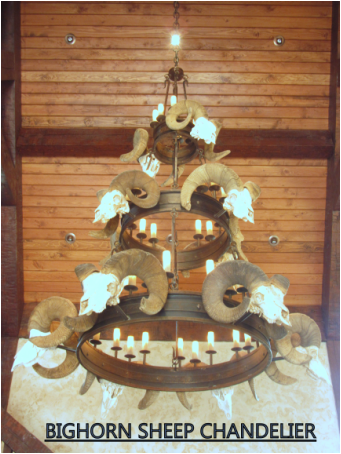 Fish Fisher is an avid outdoorsman with over 30 years experience creating functional antler art. Fish's Antler Art has become a family business with his oldest son Riley working along side him from his gallery in Bozeman, Montana. Each piece is a unique creation that is given exceptional attention to detail, from the professional fine carvings on the antlers to intricate etchings on the glass tabletops. All of Fish's pieces use genuine antlers which have been shed by moose, elk, fallow deer, red deer, whitetail and mule deer and caribou. Let us create a custom piece for your home or business. Each piece is lifetime guaranteed. You can also find Fish's work at Little Bear Interiors, Montana Expressions, Outwest Furniture, and Four Corner Furniture in the 4 Corners area , Bozeman, MT.